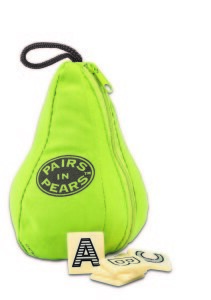 PAIRS IN PEARS GAME Pairs in Pears is a fun, quirky educational word game from Bananagrams. The game comes in a Pear shaped carry pouch to ensure full portability. Inside the pouch are 104 very tactile tiles with a letter on each one. There are two games within Pairs In Pears, in both games you ..
Pairs in Pears is a fun, quirky educational word game from Bananagrams. The game comes in a Pear shaped carry pouch to ensure full portability. Inside the pouch are 104 very tactile tiles with a letter on each one. There are two games within Pairs In Pears, in both games you have to race to build two lines of words that cross across each other. 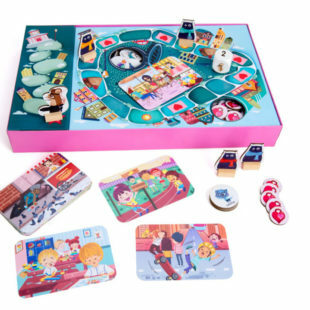 With most games products that would be more than enough, BUT with Pairs In Pears you also get 8 additional activities for younger kids – 4 for pre-readers and 4 for beginner readers to help them develop mental.cognitive skills and to learn how letters make words. So Pairs In Pears is absolutely packed full of play value. In terms of the gameplay dynamic, that’s probably our favourite thing with Pairs in Pears – because unlike some word games we’ve played where the person with the most university qualifications wins, or where it takes ages to play and you have to wait SO long for your turn, there is none of that with this game. It’s engaging and fairly addictive for a word game, but without being too heavy or too long. WHO’S IT FOR: Those who are interested in word games/learning about words. With 4 activities for pre-readers and 4 for beginner readers, this has something for younger kids. 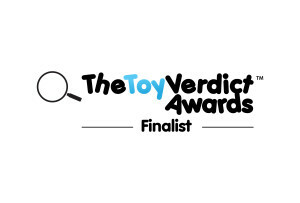 To play the main game we expect kids of 7-8 and upwards would enjoy the main games. 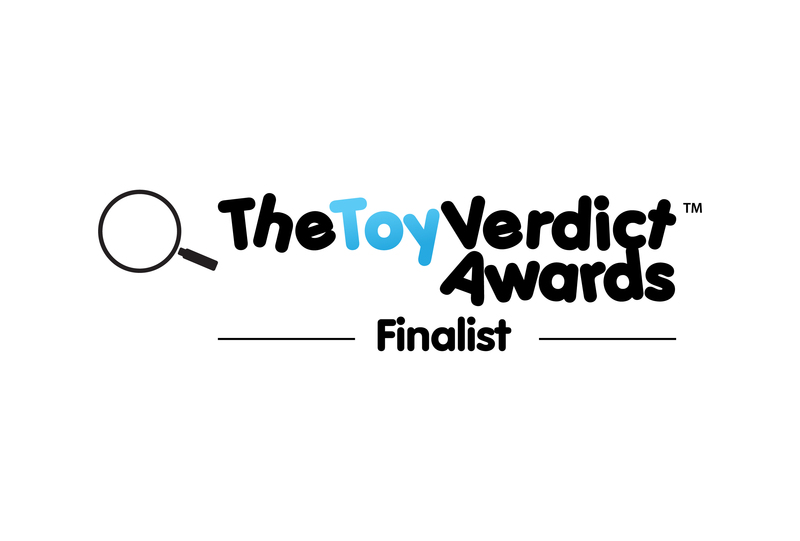 THE TOY VERDICT: Yet another simple, but compelling word game from Bananagrams. Recommended (for those who like word games).